Cells of all living organisms are covered by a dense layer of highly complex carbohydrates. These carbohydrates, which are also known as glycans, are essential mediators of a wide range of biological and disease processes. In order to study glycans in detail, scientists needed to complete a production process that involved more than 100 chemical steps, but researchers at Utrecht University have recently designed a process that is much faster and more efficient. 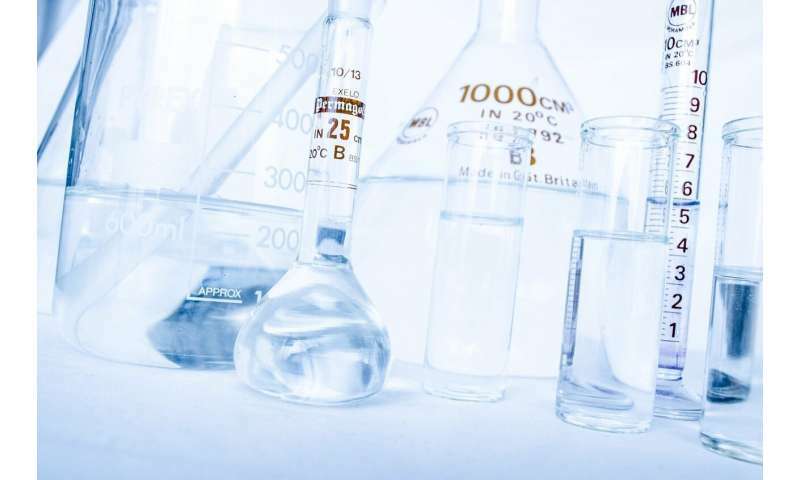 The researchers published their results in Nature Chemistry. Glycans play key roles in many biological and disease processes, from embryogenesis, to immune regulation, to inhibiting inflammation and cancer. Glycans can be used as a biomarker to identify cancer cells, but they are also essential components of most bio-based pharmaceuticals. Glycans are, however, much more complex than DNA or proteins: they are composed of a trunk with two to four asymmetrical branches, and the more branches they have, the more complicated they are to synthesize. In fact, it often takes up to 100 chemical steps to produce glycans in the lab. Utrecht University researchers Geert-Jan Boons and Gerlof Bosman aim to change that, in close collaboration with their colleagues at the University of Georgia in the U.S. "We are basically taking control over the biosynthesis of glycans," says Boons. The researchers have developed a method that starts from a glycopeptide that can easily be obtained from egg yolk powder as a building block for producing glycans. The first step in the new production process is to 'trim' the glycopeptide, until only the trunk and the branching points are left. The researchers can individually activate or deactivate each branching point, allowing them to re-grow the branches one-by-one by unblocking each of them individually and then administering enzymes that can build specific branches. This allows the researchers to attach the glycan's asymmetrical branches to the trunk in a controlled manner. Using this new method, the researchers were able to dramatically cut the production process down to only ten steps. Boons explains: "We used the glycopeptide to produce the substance glycosyl-asparagine, an amino acid containing a sugar. We then put the glycosyl-asparagine through five chemical and enzymatic steps resulting in a compound having two branches. After this first process, in which we replicate the natural production process, we then used recombinant enzymes to produce a glycosyl-asparagine with four branches in just five additional steps. This compound is the basis for the production of a wide range of N-glycans that play roles in many disease processes such as cancer and viral infections but can also be used for the production of bio-pharmaceuticals.